In athletes, hip and groin pain is considered to be associated with hip intra-articular pathologies and hip osteoarthritis (OA). A greater understanding of the relationship between hip and groin pain and imaging findings is required. Our objective was to undertake a systematic review and meta-analysis to determine the prevalence of hip intra-articular pathologies and hip OA in athletes with and without hip and groin pain. Seven electronic databases were searched on 29 January 2018 for studies investigating the prevalence of hip intra-articular pathologies and hip OA using X-ray, magnetic resonance imaging, magnetic resonance arthrography or computed tomography. The search, study selection, quality appraisal and data extraction were performed by two independent reviewers. When studies were considered homogenous, meta-analysis was undertaken. A strength of evidence was given to pooled results. Twenty studies reporting on the prevalence of hip intra-articular pathologies and hip OA in athletes were identified. Included studies were considered moderate to high risk of bias, with only three studies adjudged as low risk of bias. 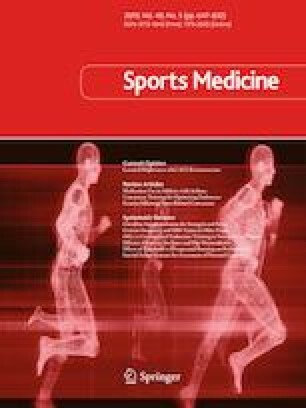 In asymptomatic athletes, limited evidence identified a labral tear prevalence of 54% per person and moderate evidence of 33% per hip. In symptomatic athletes, moderate evidence of a labral tear prevalence of 20% per hip was found. Moderate evidence of a cartilage defect prevalence of 10% per person was reported in asymptomatic athletes. In symptomatic athletes, cartilage defect prevalence was 7–40%. In asymptomatic athletes, the prevalence of hip OA was 0–17%, compared with 2% in symptomatic athletes. The prevalence of hip intra-articular pathologies and hip OA in symptomatic and asymptomatic athletes is variable. Labral tears and cartilage defects appear to be seen often in athletes with and without pain. Hip OA is rarely seen in athletes either with or without hip and groin pain. The online version of this article ( https://doi.org/10.1007/s40279-019-01092-y) contains supplementary material, which is available to authorized users. JJH, JLK, ABM, DMJ, TP, MJS, RA and KMC were responsible for the creation and planning of the review. JJH and JLK were responsible for the search strategy utilised. JJH, JLK and MJS developed the strategy to evaluate study quality. JJH, ABM and KMC were involved in the data extraction process. JJH wrote the final manuscript, with all authors assisting in revising content. Joshua J. Heerey, Joanne L. Kemp, Andrea B. Mosler, Denise M. Jones, Tania Pizzari, Mark J. Scholes and Rintje Agricola declare they have no competing interests. Kay Crossley is a recipient of an NHMRC (National Health and Medical Research Council; Australia) Project Grant (GNT1088683), which provided funding to support this research. No financial support was received for the conduct of this study or preparation of this manuscript. This review was not commissioned; the article was externally peer reviewed. Higgins J, Green S. Cochrane handbook for systematic reviews of interventions version 5.1.0. The Cochrane Collaboration; 2011. http://handbook.cochrane.org. Accessed 14 May 2018.